All Things Rise is OUT!! My All Things Rise selfie :-). Tweet me yours at @MissouriVaun or post it on my Facebook page. I’d love to see it! I am so happy that one milestone along my new journey as a storyteller has arrived. All Things Rise is now live in the Bold Strokes Books webstore! It can be purchased in paperback and in all eBook formats exclusively through our store, ahead of its widespread release. I’d like to send out a special thank you to the Bold Strokes Books family of writers who have been incredibly kind, supportive and welcoming during the months leading up to the release of my first novel. Radclyffe has created an amazing creative community and I’m grateful every day for the opportunity to be a part of it. The Missouri Vaun author page on Goodreads is also now up and running. Please visit me there and let me know what you think about All Things Rise. 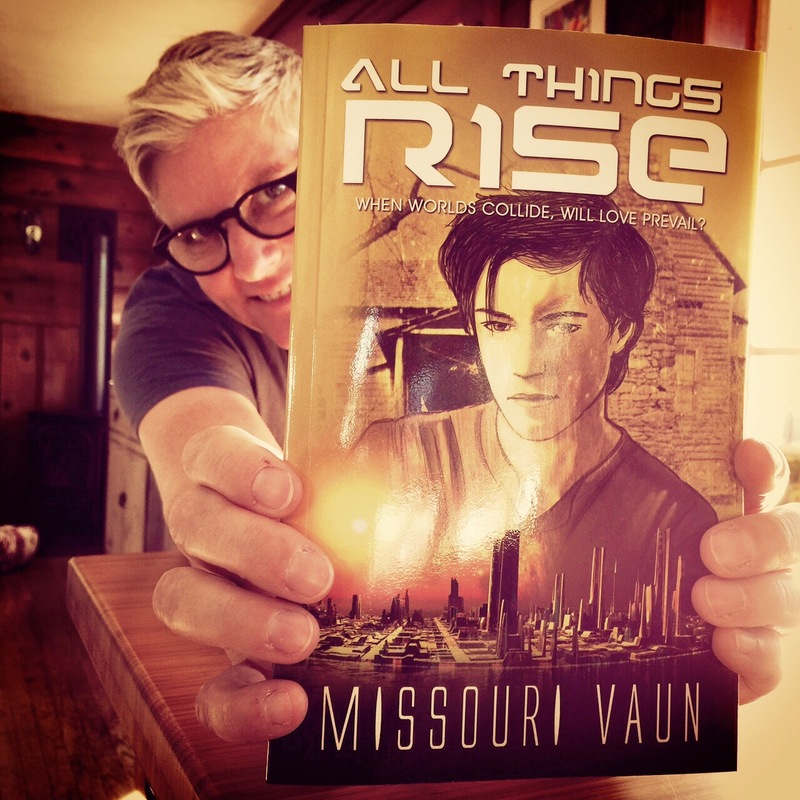 ← All Things Rise is Out May 12! Awesome! Just ordered my Kindle edition!